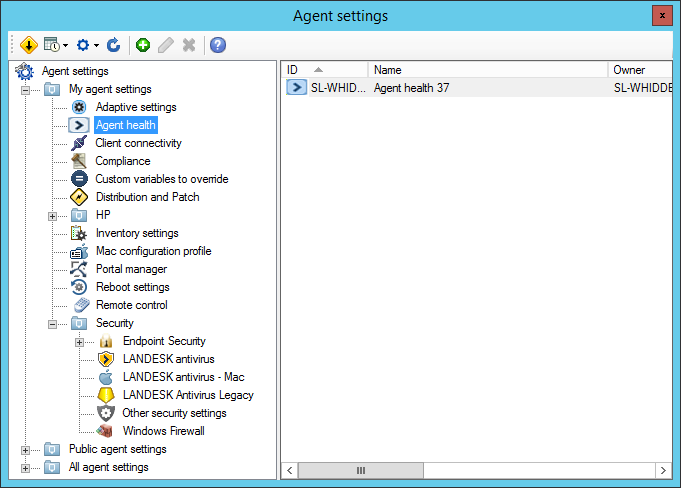 Agent Settings control how Ivanti® Endpoint Manager powered by Landesk services and other components operate on managed devices. These components and their associated settings can be deployed to your managed devices as part of the initial agent configuration, separate install or update tasks, and change settings tasks. If a component is installed on a managed device, changes to that component's settings don't require redeployment of the whole agent. Settings are stored as XML files and the managed device only needs an updated XML file to reconfigure how an installed component operates. Changes to a component setting are propagated to all devices with that setting installed automatically. Use agent configurations to initially deploy or change installed Endpoint Manager components. Use agent settings to modify how installed Endpoint Manager components operate.